Delicious chocolate pie ready to eat! This pie doesn’t involve any baking, the preparation time is less than 30 minutes, and it’s full of chocolate…how could this be any better?! Pie filling (chocolate chips, silken tofu, and vanilla extract) in the blender ready to be mixed. Note: you can use semisweet chocolate chips if you prefer or even white chocolate chips. I love dark chocolate so I chose dark chocolate chips. 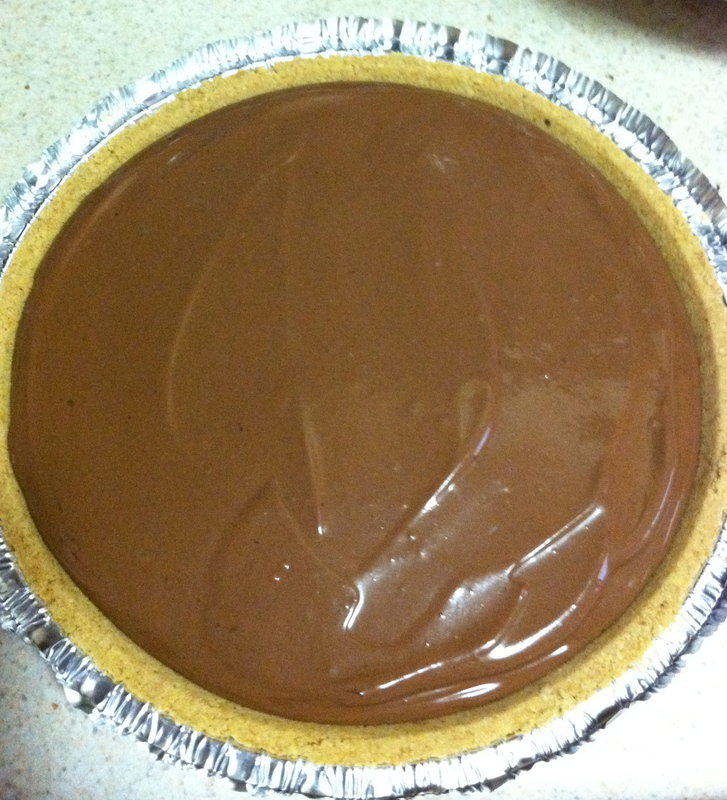 You can also use vegan chocolate chips to turn this into a vegan chocolate pie! First, you need to put together the pie filling. 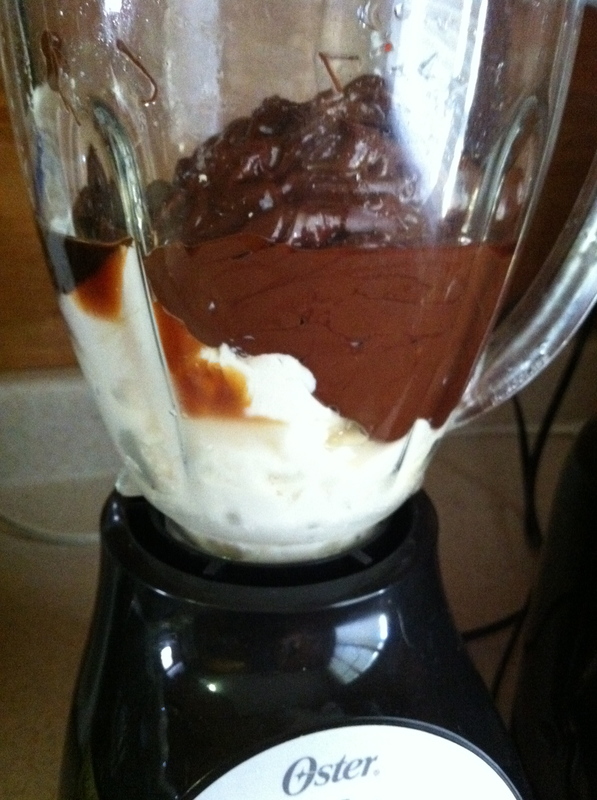 Put the package of silken tofu and the two teaspoons of vanilla extract in your blender. 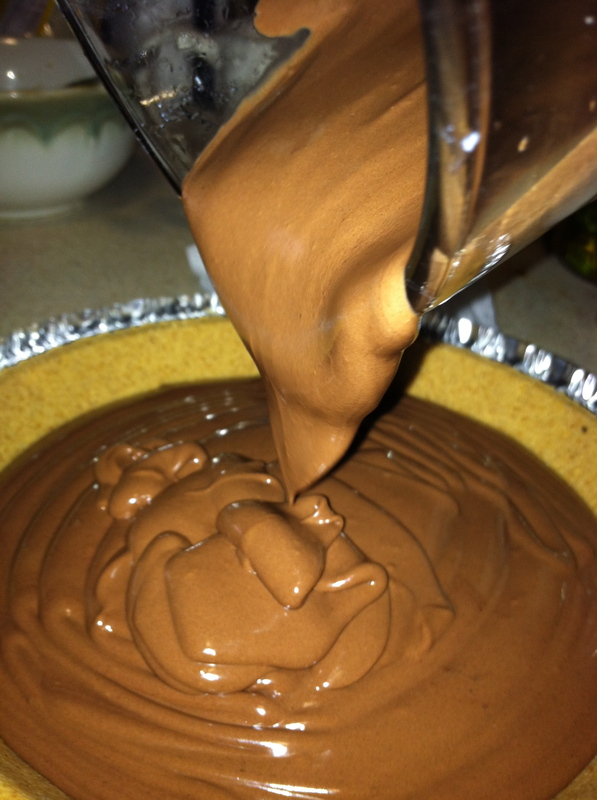 Pie filling being poured into the graham cracker pie crust. Then you will need to melt the chocolate chips over medium heat by using a double boiler. If you aren’t familiar with this, you simply fill a pot about a quarter of the way with water and set over medium heat. Then you put the chocolate chips in a bowl over the pot and mix the chocolate chips as they melt, being careful not to let them burn. When the chocolate chips are melted, pour them into blender with your tofu and vanilla extract. Blend until smooth for about three to four minutes. Then pour mixture from blender into your ready made graham cracker pie crust. Refrigerate for at least four hours. After the pie has been refrigerated, take the pie out and it’s ready to serve and eat!